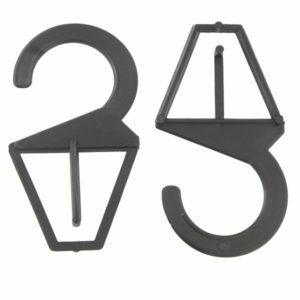 Choose from our wide range of plastic display hooks and display hangers to enhance retail displays in your shop. 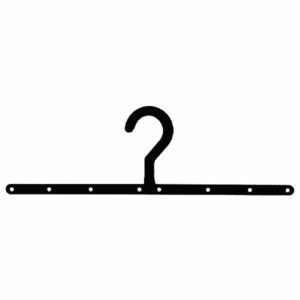 Also, use our display hooks and display hangers to organise and save space in stores and warehouses. 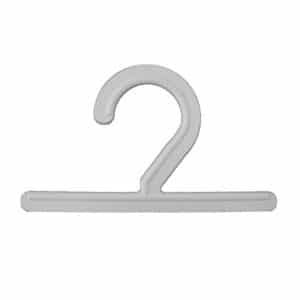 Our best sellers include DH1 and DH2L plastic display hooks, perfect for hanging packs of socks or gloves. Also, we can print your brand on the oval label area on the DH1. Vist our Printed Hangers page to find out more about printing options to promote your business. 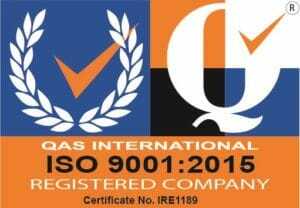 Buy direct from the factory and get the best prices. 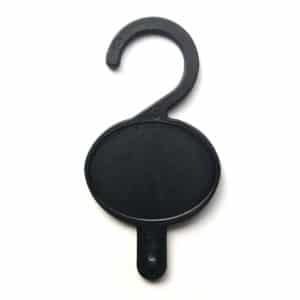 We make plastic display hooks and display hangers in our own factory in Ireland. Cut out the distributor and save money! After all why pay extra to a wholesaler? 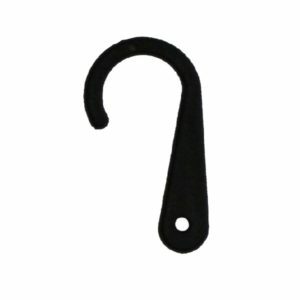 Ordering small packs is simple on hangers.ie! Choose products in small volumes starting at packs of just 10. Need larger quantities? Select packs of 50, 100 or box quantities. As a result of being the manufacturer we offer a wide range of handy packs sizes to suit all needs. Enhance point of sale retail displays and increase sales. 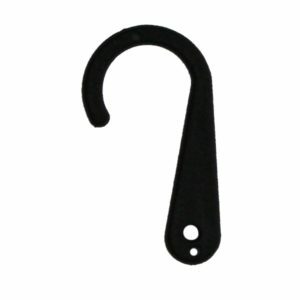 Use plastic slide in hooks SL1 to display packs of gloves, socks and underwear at key points of sale. 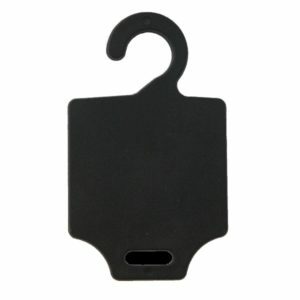 Also, choose the stylish plastic snap in hook SIH for point of sale merchandising. 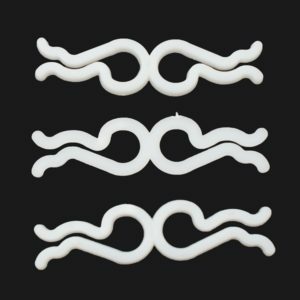 Buy plastic hanger connectors in small packs starting at just 10! 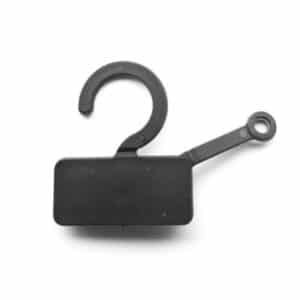 Also, by ordering hanger connectors direct from the manufacturer at hangers.ie get the lowest prices. 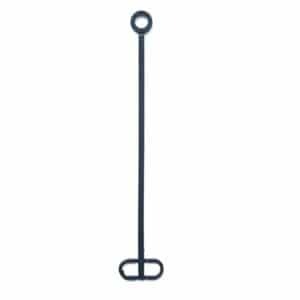 Choice of 1″ and 7″ hanger connectors plus colours including black, natural (clear) and white. Use hanger connectors to save space and hang one clothes hangers from another. First slide the top of the hanger connector over the first clothes hanger hook. Next attach the hook of the second coat hanger to the bottom of the connector. 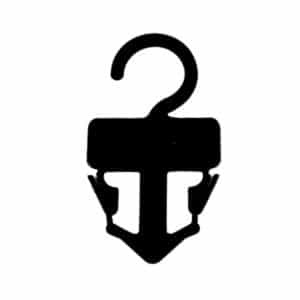 Make sure the second hanger hook is securely in place. 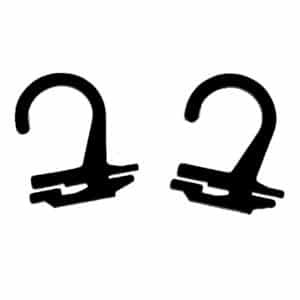 Clothes hanger connectors save space in retail displays, stock rooms and also in wardrobes. In addition, drive sales in retail displays by hanging matching items together using hanger connectors such as trousers with tops. 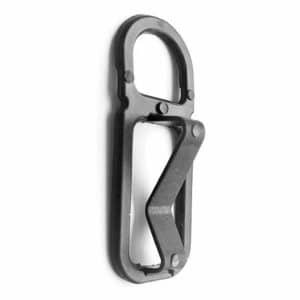 Also, use coat hanger connectors to hang garments vertically and save space during transport.